This is an article inspired by a session I ran with new businesses as part of Surrey University’s Investor Readiness Programme and my work with Plan Zheroes, It sets out to illustrate why good knowledge and information management matters to a new business. A business is the sum total of its intellectual capital/property (‘knowledge assets’). Drawing on examples from hospitality, renewable energy storage and third sectors, it will demonstrate the value of checklists, a technical backbone, the right cultural environment and feedback loops in identifying, nurturing and exploiting knowledge assets. 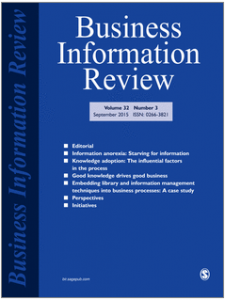 Another regular contributor to Business Information Review, Paul Corney shares his experiences of working with emerging enterprises and business start-ups in developing good knowledge and information management practices. Reflecting on the experiences of small and medium-sized enterprises in the business and third sector, Paul illustrates in his article why information and knowledge management matter to new businesses. As Paul notes, ‘ultimately a business is worth the value of its intellectual capital/intellectual property. These “Knowledge Assets” might take the form of patented products, an efficient process, a unique piece of software or brand and reputation built over time’. The lessons here for directors of start-up are obvious, but there are lessons also for those who work with information on a day-to-day basis within larger or more established organizations. Putting in place effective measurement is key in order to demonstrate value. 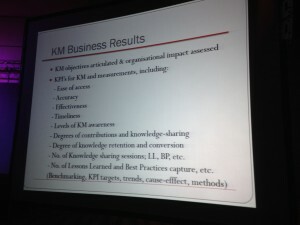 As KM standards get integrated into global quality and manufacturing standards so the drive for better KM will be felt. Young organizations can get ahead of that curve by putting some of these simple techniques in place today. As a footnote I am particularly delighted to have been asked to serve on the BSI KM Standards Committee that is going to input into the to be publsihed ISO Quality Standards. 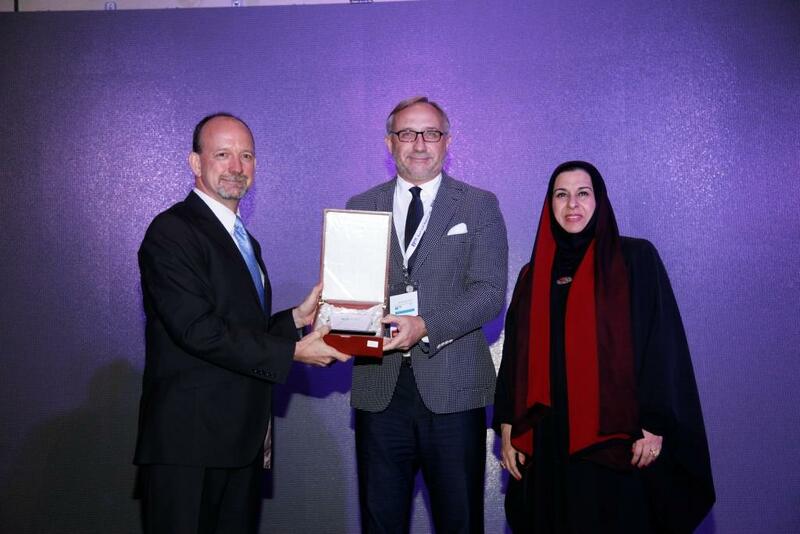 It was great to be back in Dubai last month for KM Middle East 2015 where I was running a Masterclass on Day One and giving the Keynote closing address on Day Two. When I went there in 1984 the only hotel in Jumeirah was the Chicago Beach Hotel and that was an isolated spot some 30 minutes drive from Deira on empty roads and across desert. You went there for a bit of R & R after a tour of duty in Saudi Arabia. Today the emirate is home to hundreds of thousands of expats and foreign workers all of whom are bringing knowledge to help Dubai develop into one the world’s premier tourist destinations. 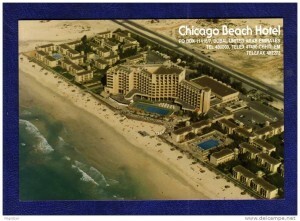 Here’s how the same piece of coastline looks 30 years on and you can get there today via a metro system! 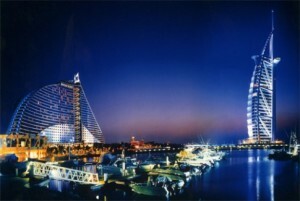 Few in 1984 predicted Dubai would grow to be such a diversified economy: limited dependency on oil, increasingly reliant on the knowledge and competencies of its expanding (predominantly foreign) workforce and having the world’s busiest airport. The underpinnings of such progress are people, process (and of course) technology. 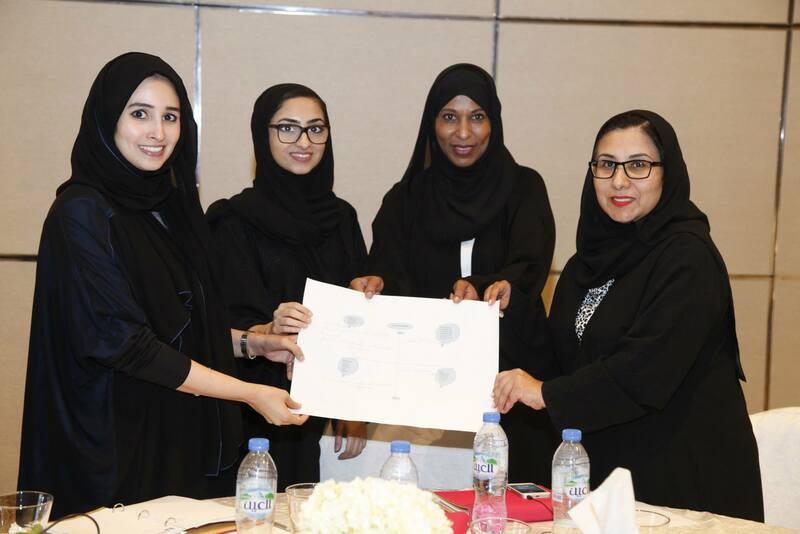 The disparity in numbers of indigenous Emirati to Expatriates (who are transient by nature) means that there is greater relience on process and technology to ensure continuity. It is no surprise that the Knowledge Management activity in the region should be more of an operational/tactical nature rather than strategic. This was evident for me at KM Mid East. 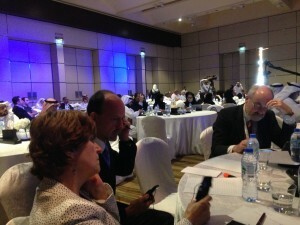 Held over two days at the very luxurious Park Hyatt Dubai the event comprised a series of workshops on Day One and a Plenary Conference on Day Two. My workshop Unlocking the true value of Knowledge Management: identifying and assessing your organisation’s Knowledge Assets took place in the afternoon from 2pm-6pm. 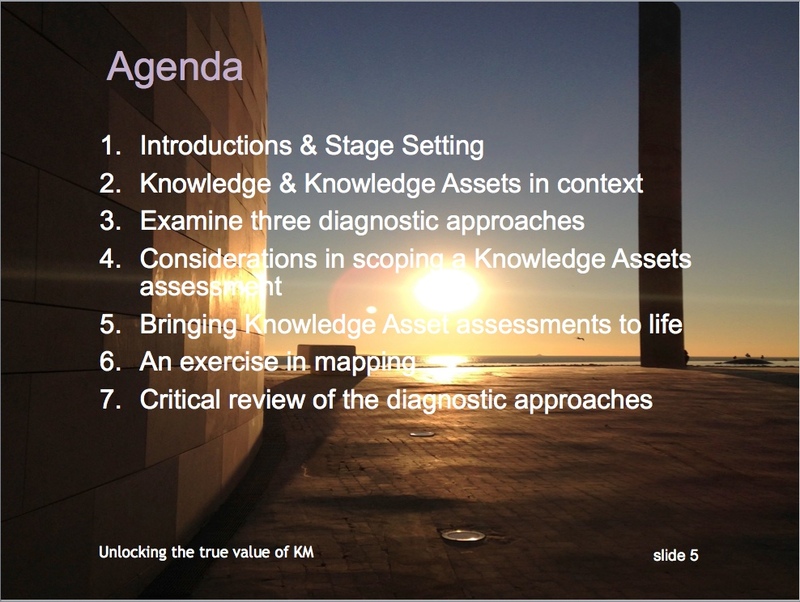 My aim was to get the participants to think about why KM mattered and to begin to develop an understanding of the Knowledge Assets they had in their business. I was also keen to look at a few different ways to identify and assess their value and what might they then do to mitigate potential loss. Team A at KMME Workshop displaying their ccompleted Analyser. Session 6 An exercise in mapping was particularly revealing. Focusing on a recent decision ‘Team A’ used the Event Analyser to describe how they had saved a substantial amount by drawing on the internal knowledge of their organisation which they were then able to pass on for others to use. lower barriers) and I made sure each session had a mix of informing and doing with plenty of interaction, stories (and humour). And we finished at 6pm with a full contingent! The slide deck has been made available for each presentation by the organisers and can be found here. There was also a twitter feed #kmme with a few interesting comments thrown in as the day proceeded. The event was well attended and the presentations informative. Being at the end of the day I had the opportunity to hear everyone. My attention was stimulated by some of the local presentations especially since so many focused on measurement and frameworks. 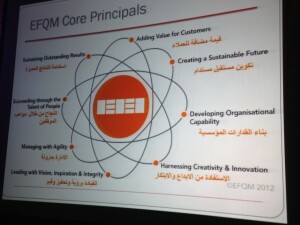 One which caught my eye which was how Quality Standards such as EFQM are becoming the drivers and measurement yardsticks for KM implementations. This adherence to standards of excellence fits with the way Dubai and the UAE are measuring progress across a wide spectrum of activities. It was even evident in the surplus food discussions I had while I was there. People understand that to win environmental and sustainability awards you have to be able to demonstrate effective reuse so the measure is based on sustainability and environmental impact not on the social impact. Here’s just one of the slides by way of an example of how the framework is being cascaded down in KM. are the evaluators experenced KM Practitioners? the start point would seem to be critical – yes an organisation might make great progress but where is the benchmarking element? 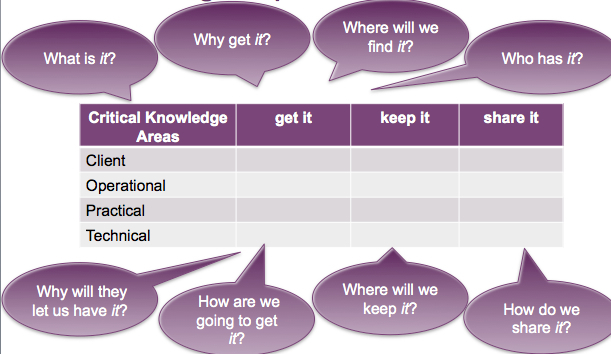 where do the frameworks cater for increasing the value of an organisation’s Knowledge Assets? is there a danger of being in love with the process rather than the results of the process? It’s a great start though and similar to work done in Singapore where EFQM and ASQ measures have been combined in some organisations as a way of cascading down operating values and standards (SOP’s). Where organisations start to make progress is when competencies are built into the framework. So apart from a number of very interesting discussions with the other speakers over dinner and with the delegates at the event what else did I takeaway? 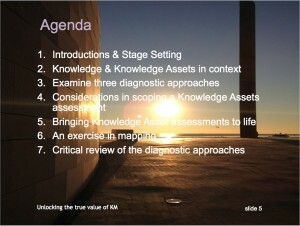 KM is increasingly being driven by issues of Quality, Standards & Risk. These are operationally focused but provide tangible measures that organisations can point to as a way of demonstrating value. 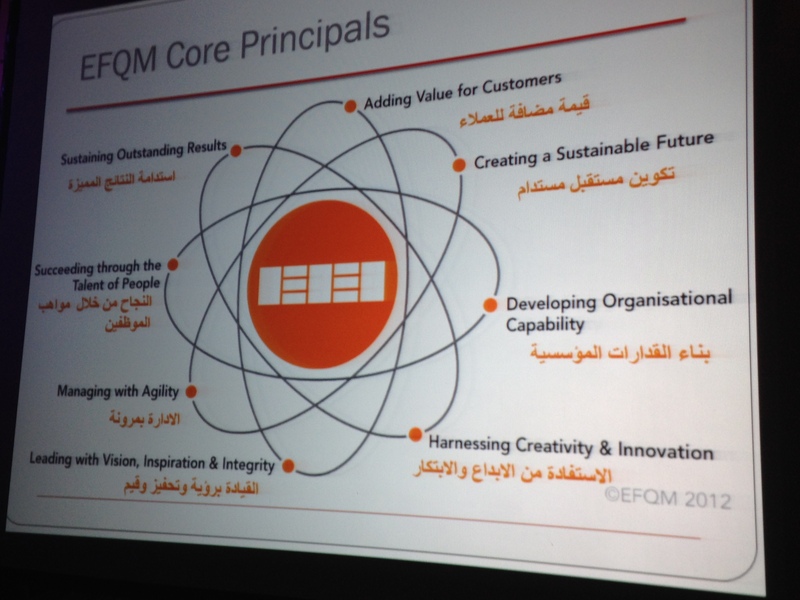 EFQM is the predominent standard in UAE and KM programmes need to align with it. Risk (of individual and collective Knowledge loss) in a society that is still essentially transient places great importance on ‘knowing what we know’ and so Knowledge Assets Audting (identifying and assessing) is likely to grow in importance. The Standards Institution of Israel (SII), Israel’s member body to the International Organization for Standardization (ISO), has submitted a proposal for a new international standard focusing on requirements for knowledge management systems. As the U.S. member body to ISO, the American National Standards Institute (ANSI) invites all interested stakeholders to submit comments on the proposal by Friday, February 14, 2014. 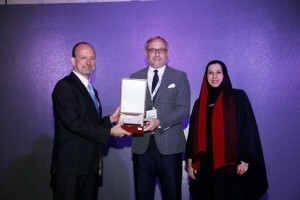 The proposed International Standard would set down requirements for organizational knowledge management systems, including the creation and maintenance of such systems, the nurturing of a knowledge management culture, measurement of organizations’ knowledge, and approaches to sharing knowledge management solutions. The standard would cover businesses, nonprofits, government organizations, and other groups of any size and in any field. 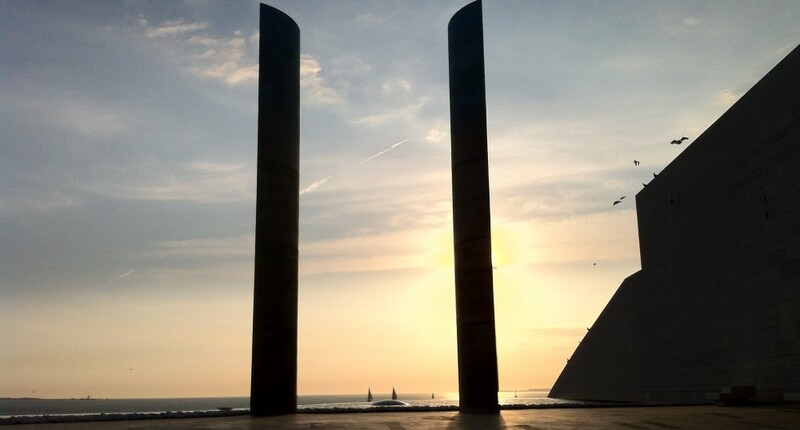 “What’s in it for me”: sharing client knowledge in a workplace with 4 generations. On March 2nd I was in Broadgate talking to the Chairman and two Managing Partners of a law firm. There, at the invitation of the Chief Operating Officer, we were discussing inter alia how to deepen relationships so that when the senior relationship manager departs, their knowledge, networks and clients don’t depart with them. I wouldn’t let …. anywhere near my client; for a start my business is unique and I don’t want them ruining a relationship which has been built up over many years. Ours is a relationship business and I have an assistant who knows everything about the client and we store all information on the …. system. I have a flat in London and a house in Umbria. I drive an Aston and the school fees are all paid. Why would I want to change? These are not untypical responses from the upper echelons of organisations. Contrast that with these factional ‘Generation Rent’ (People born in the 1980s who have no hope of getting on the property ladder, a term coined by The Independent’s Tim Walker) examples arising our of conversations I had a few days ago. Sam lives with his girlfriend, they are able to afford to rent but have little immediate prospect of owning a home. She is training to become a teacher. Their horizons are near term and they want to work for people who share their values where they can move on when the role (or people they work with) becomes uninteresting. Sam’s father Matt who is in his late 40’s had a mortgage at 21 fuelled by the belief that home ownership was the ultimate benchmark of a civilised society. Sam doesn’t feel the same, for him experience is more important. ‘Micha‘ is 23 and has been in work for 2 years since graduating from Univeristy of Southampton. She doesn’t know if she can afford to leave her parents to move in with her boyfriend. Her world is governed by whether she can service her credit card and overdraft and of getting away from a 45 year old middle manager who has read the corporate values manual but disregarded it from day one in his pursuit of a plethora of consumer durables. He speaks the talk but doesn’t walk it. Generation Rent employees have a very different set of values and aspirations from their colleagues. Unable (or unwilling) to join the property owning fraternity they are more transient than their predecessers and do not have the same sense of attachment. They will go where the action is unencumbered by physical assets. They come to firms with a developed sense of online community but are less adroit at human interactions. Engaging with these organisational foot soldiers is going to be one of the biggest challenges facing senior management over the next few years as they try to make organisations leaner and more productive. And no longer I fear can Senior Managers subcontract the task to HR, Learning, Training or indeed Knowledge Management or rely on the cascading methods of communication that have been prevelant in most organisations seeking to get changes made and messages understood. The proportion of people classed as Generation Rent is predicted to expand as UK home ownership becomes a distant horizon. This gap isn’t going to close quickly so organisations are relying on squeezed middle management to be the water carriers between the top and the bottom. For the first time ever we have 4 generations of workers all working at the same time! There is a notion that television news and documentaries attract an older audience. The logic in editorial meetings at Channel 4 News and the BBC is that people aged 18-35 aren’t interested in the world. VICE started to put out documentaries about the coup in Mali or the way Egypt and the Arab Spring was unfolding. They were very popular. They had engagement times of about 25 mnutes and they were getting hundreds of thousands of views. So there is great interest from that group in the world. The issue was the way it was being presented. Most television talks down to people, and that is not representative of 16-35 year olds. What is striking about all of these examples is the expectation and motivational gap between those at the top and those lower down the organisation which prompts this question: Is a fundamental shift needed in the so called Social Contract between employees and firms to bridge this chasm and make organisations more sustainable? Team norms exist whether openly stated or not. A good leader should facilitate sessions with his/her team to uncover the existing norms, both positive and negative, that impact team functioning. Establishing a social contract can reinforce positive behaviors while helping teams to overcome dysfunctional ones. I’d add one aspect here: the development of Knowledge Competencies (at a personal and corporate level) should be a thread that runs through this document. This will be heresy in some quarters but I generally believe we are at a tipping point when it comes to how organisations are working. The interpretation of messages from the top and flow of ideas to the top while often seen as an important filtering process seems to me more likely to alienate Generation Rent employees who are used to collaborative not command and control environments. Dialogue has to be more transparant not more opaque. Social media is exacerbating the naming and shaming of bad organisations who are often characterised by a broadcast rather than collaborative approach to internal and external communications. When I set up a client strategy process at an investement bank the first challenge was how to widen and deepen relationships with our major fee earning clients so that we could accomodate the departure of a key Relationship Director. We only considered a relationship ‘secure’ when there were three contacts at three levels across our and their organisation. We documented what we knew and kept it current with regular contacts at all levels. However, then, as now, successful ‘rain makers’ could demand want they want; a case of a slightly skewed symbiotic relationship, wherein Senior Management pay lip service to values statements and Corporate Social Contracts while bowing to commercial reality? The process worked primarily as I reported to the General Manager and CEO and carried ‘the pen’ with a mandate for change and the ultimate sanction of appointing a different Relationship Director if another refused to participate. In another meeting last week in The City I was with the KIM Head of a large global law firm overseeing the process of deepening relationships with clients. He recognised the need for a meaningful client relationship to be 3 level deep and the importance of illustrating the differences in the way we all see the same event or object. His company is getting clients in at 3 levels for show and tell and share sessions as a way of cementing a relationship and getting expectations and aspirations out on the table. What struck a chord during last week’s meetings was the notion of risk – most organisations understand risk but few set about managing Knowledge in that context or seeing Knowledge as an asset. While a lot of work has been done on the Risk of Knowledge loss less has been done on the value of Knowledge Assets. Its a topic I will be picking up over the next couple of weeks at KM Middle East in Dubai where I am making a speech on Why effective knowledge capture and retention matters then running a workshop on Unlocking the true value of Knowledge Management: identifying and assessing your organisation’s Knowledge Assets and then Singapore where I will be running Masterclasses. 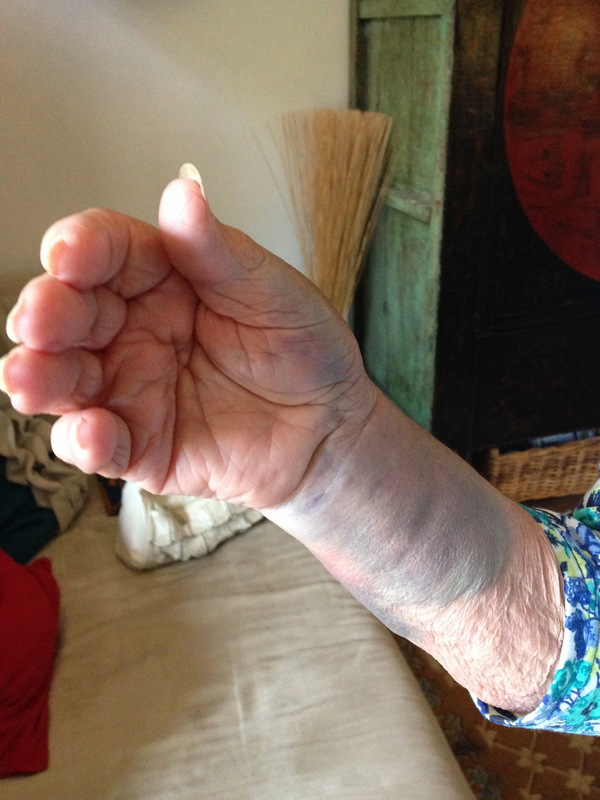 Last week my 86 year old mother fell over an uneven paving slab on her way back from the library. The swelling and bruising came out immediately and fortunately her wrist which took the impact of the fall wasn’t broken. She was badly shaken up by the event and took to her bed as a result. Living in a location where a good number of the 100k residents are past retirement age according to a 2013 article Seaside town first place in country with average age of more than 70 and with many suffering impaired vision I decided to report the incident in the hope that the pavement might be fixed qucikly. I was pleasantly surprised to discover a facility built on a Google Maps platform for reporting damaged pavements on the local government website (in 8 languages) and a twitter feed for instant access. So far so good. The automatic response to my filing (and picture) was likewise encouraging and included the phrase ‘we will investigate’ along with a reference so I could track the progress. Please consider the following points before you submit a claim. Making a claim can be a lengthy process and may not result in a pay-out. Any compensation is paid from public money so we will always be robust in our investigation of claims. The decision on liability will be based on the facts of each case and the law. Because of the legal defence available, on average, 70% of claims are unsuccessful. The last sentence (my underlining) is instructive and made me ponder whether the use of the technology is for offensive or defensive purpose? Have we become such a litigious society that every corporate body feels compelled to get their retaliation in first and use social media as a broadcast and defensive mechanism not a collaborative platform? I digress. Let’s be charitable and assume good intentions and applaud this as an example of good knowledge capture and retention. What we don’t as yet know is whether this will become a good example of how knowledge can be put to good effect and improve a process (or in this case fix something that isn’t working). The concept of Knowledge Capture & Retention seems to be much in demand: I will have run 3 Masterclasses on the subject this year alone (next London event 18th November). And having just completed a 7th visit in 12 months with Ron Young of Knowledge Associates to an industrial/engineering client in the Middle East where small changes in processes can have a material impact on performance I know how important it is to have a process that turns what you have collected into valuable Knowledge that changes the way you work or the new product development processes you follow. If not you have a set of ‘lessons identified not lessons learned’. At the end of that process ask the question does what we have discovered have the power to change/improve the way we (and those associated with us) work? If the answer is yes then you have what is known as a Knowledge Nomination and these should be considered at a separate gathering. Now convene, if you don’t have one as part of a Community of Practice, virtually or in person, a group of Subject Matter Experts with expertise on the process or way of working. Ask them to consider whether the Knowledge Nomination will improve our process and should be adopted. If they agree then change the process. If they don’t then make sure you have captured the Knowledge Nomination and the reason for its rejection. I have always believed that the purpose of Knowledge Management is to help organisations make better decisions and work more effectively. The simple steps I’ve outlined above should help in acheiving those objectives. 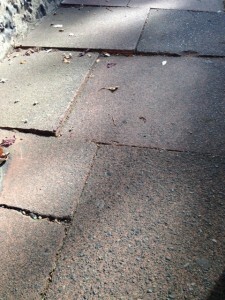 I wait now with interest to see the outcome of the saga of the loose paving slab. 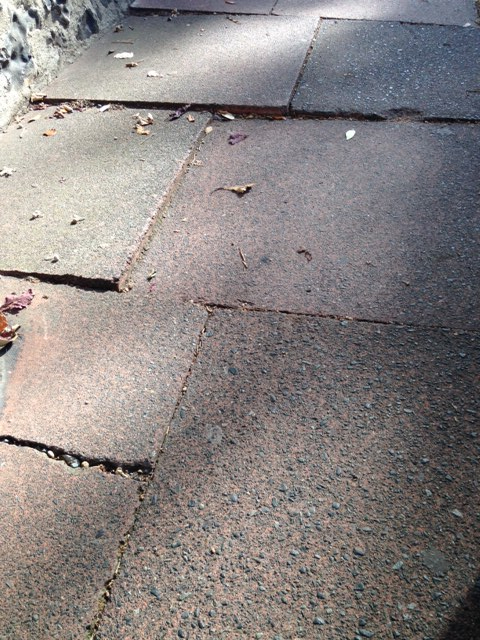 Will the outcome merely be a repaired section of pavement or will the team think about how this was caused and put in place measures to stop it happening next time? I was with the CEO of a respected and successful consultancy, recruitment and interim management group yesterday. One of the topics that came up was how to describe what you do in a succinct way – what most marketing consultants call the elevator pitch. ‘I don’t attempt to anymore as most people’s first reaction having met you is to go and check you and your company out on Google and LinkedIn’. It made me reflect on how much we are now influenced by what we read online and what others say about us. I shared with him a recent experience I had with a business who’d been on the receiving end of an unpleasant review on Trip Advisor. Rather than responding she’d maintained a terrified silence and had got to the point where she dreaded the sound her phone made when she’d got a new review. We talked through the need to be more proactive to field the punches and be willing and able to mobilise your ‘Brand Advocates’ who will rise to your defence (if you’ve created a positive enough image and been open when you screw up). With that in mind I agreed to do an interview this week with a newly launched website findtheedge that is targeted at business leaders and aims to draw on the personal experiences of a panel of experts in their respective fields. The outputs can be found here: How to Create Innovative Knowledge Management Solutions Using Stories. though I run a business that has an information management consultancy how can I be considered an expert especially since the people endorsing me have never seen me in action. I’d be surprised if it stays on the LinkedIn profile for too much longer.